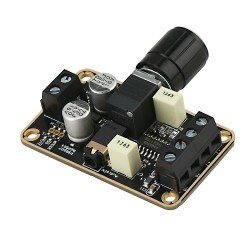 It's a DC Buck Module,Input voltage: 5V-32V,Output voltage: 0.8V-30V,Conversion efficiency: 95% (.. 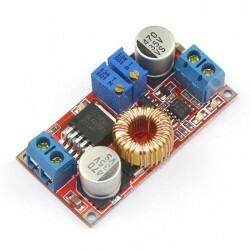 It's a Mini Digital Audio Amplifier Module,Operating Voltage:DC7.5-15V,Rated output power: 10W +1.. It is AC0.1~100A LCD Display Digital Ammeter Current Monitor/Tester, Working Voltage: AC80~500V 110V/220V, Measuring Accuracy: 0.5% (+/-2 Digital), small size, high efficiency, long term stable and reliable quality,easy installation and use . Applications:power distribution box, distribution cabinet, regulators, teaching aids, household small distribution box and etc. 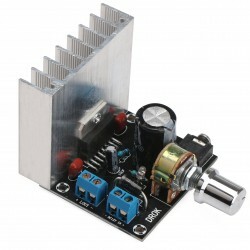 Output voltage :DC 1.25~32V continuously adjustable,default output 17V. Please note: This DC converter is single output, the output voltage of the USB port is the same as the output voltage of the module, if your load is USB device, please make sure the module's output voltage is set at 5V. 1. If the module can not be adjusted, the output voltage is always equal to the input voltage." When you encounter this problem, please counterclockwise rotation of the potentiometer 10 laps or more, then you can adjust the output voltage. Because the factory default output voltage is 17V. 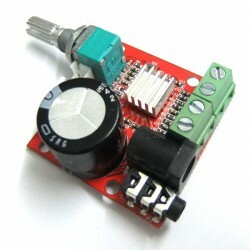 2.Module output terminal string has a current sampling resistor, there will be 0-0.2V voltage drop after connected to the load, it is a normal phenomenon. 3.If its output is more than 3A/35W, please enhance heat dissipation!